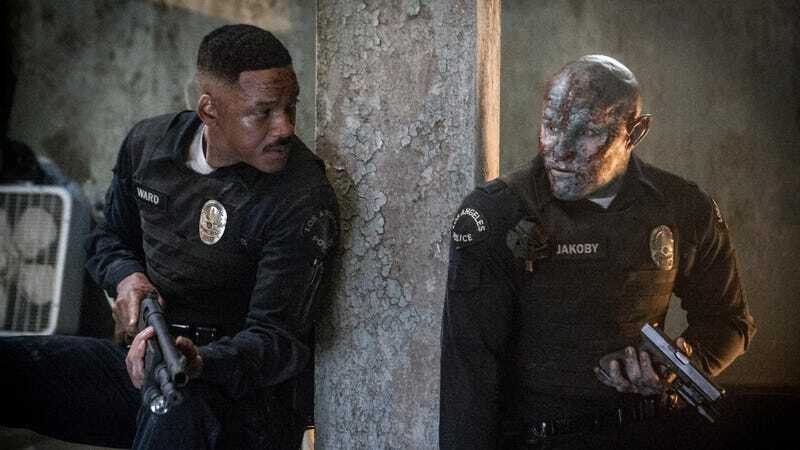 We’re still a few days out from the release of Bright, Netflix’s latest attempt to earn itself a spot at the big kids’ table by putting up the sort of big-budget blockbusters the major studios have been churning out for years. But while audiences have yet to be exposed to Suicide Squad director David Ayer’s fantasy action thriller—which sees blockbuster king Will Smith team up with Joel Edgerton for an orc-based take on the buddy cop formula—the company seems pretty confident it’ll have a hit on its hand. Hence, presumably, why Bloomberg is reporting this week that Netflix has already signed Smith up for a Bright 2. That might seem a little cocky, but it’s not like the streamer doesn’t have money to burn; the company is currently devoting $8 billion a year to film and TV production, in the hopes of breaking the studios’ stranglehold on the content market. And honestly, it’s hard to blame them in this case; whether Bright turns out to be any good or not, the spectacle of the world’s former biggest action star fighting elves on Netflix is likely to draw people in. Meanwhile, the movie we’re now forced to think of as Bright 1 arrives on the streaming service on December 22.